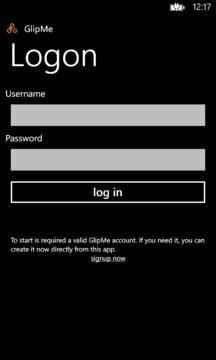 Official GlipMe (www.glipme.com) app, to start your "living address book" and manage your contacts using GlipMe. GlipMe provides powerful tools to manage personal and business contacts. It's cloud based, cross platform, and doesn't require you leave your phone integrated contacts feature. GlipMe is your private or company cloud address book, not a data aggregator. You control it, you manage it. 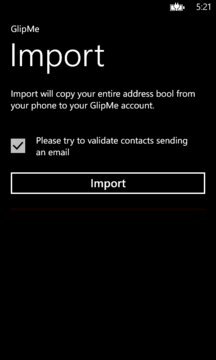 GlipMe app allows the first import of entire phone book to your GlipMe cloud account. Version 2 allows to signup for a new account if you need it.